Posted on August 27, 2015 by M.E. Rapper Kanye West will receive the 2015 Michael Jackson Video Vanguard award at this years MTV VMAs. Last week an old video surfaced of Suge Knight joking about killing people by injecting them with HIV positive blood à la Easy E .
Amber Rose and Blac Chyna Land MTV Reality Show! MTV recently signed on to produce a reality show starring Amber Rose and Blac Chyna and will give you a closer glimpse into the lives of the ex-strippers; now famous baby mothers, socialites. The TV cameras will catch them maintaining high profile boyfriends, childcare, custody exchanges, club appearances and the numerous gigs they book along they way. Posted on August 21, 2015 by M.E. 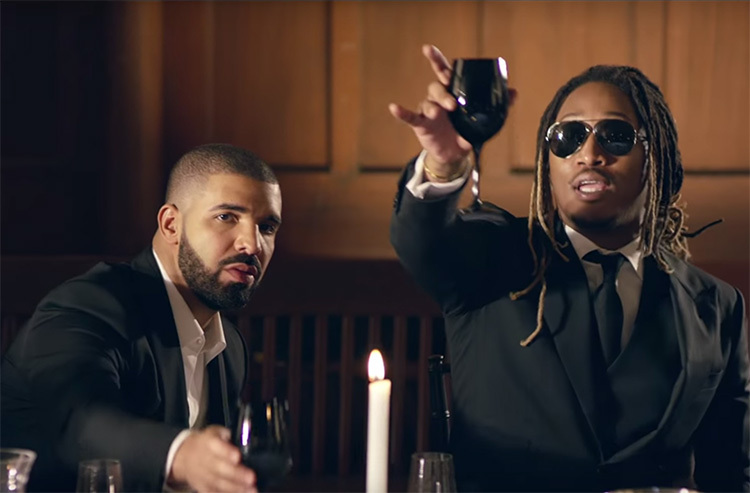 Future has been setting the streets off with his mixtapes “56 Nights,” “Beast Mode,” and “Monster.” Now he releases the latest visual from “Dirty Sprite 2,” for “Where Ya At?” Drake makes an appearance in the video as he is also featured on the song. Over the weekend Harlem rapper Azealia Banks trash talked R&B singer K. Michelle after K, abruptly pulled the plug on their joint tour. 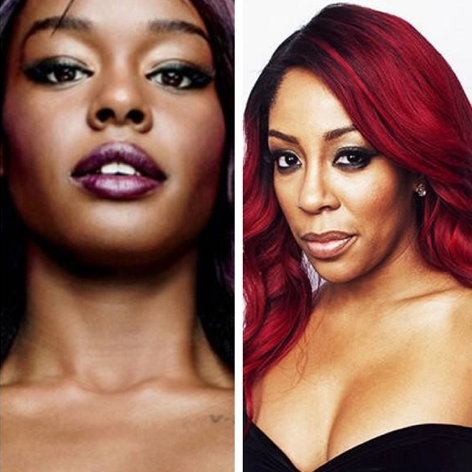 After K. Michelle fired back Azealia Banks went for the jugular. 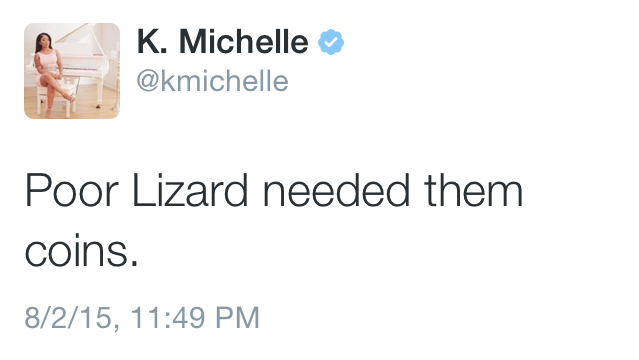 After re-Tweets of Azealia Banks’ catty remarks about K. Michelle canceling their tour reached critical mass K cryptically Tweeted about a ‘poor lizard’ who needed money. That’s when Azealia fired back with both barrels. Last week the Will and Jada Pinkett-Smith divorce rumors surfaced again. And of course the rumors were shut down. 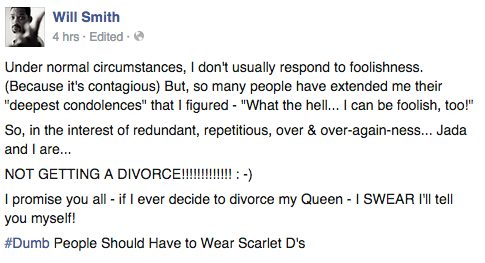 An exasperated Will Smith addresses the rumors for the umpteenth time on Facebook.